After Arsene Wenger's 22 years of footballing success with Arsenal, who would be the next in charge was a question the board had to answer. 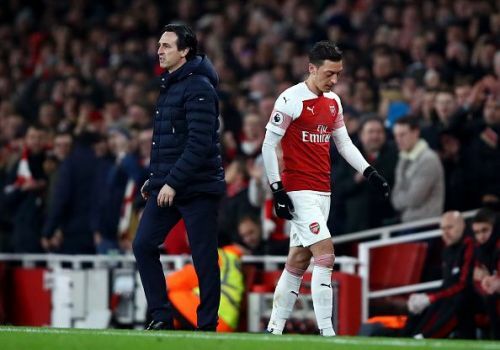 Though the likes of Ancelotti, Aleggri and even Zidane were linked to the club, it was Unai Emery who accepted the challenge to get a misguided and struggling Arsenal back into the Champions League. To be honest, Wenger's ending years at the North London club was immensely depressing. Arsenal last won the league in 2005 under the manager, and after then, they literally struggled to keep up their form and the fans were infuriated seeing them play with such inconsistency. The fans wanted the change, and Unai Emery stood up. All those big-name coaches rejected Arsenal due to the fact that Kroenke and his team were not willing to give the new gaffer a £100 million-plus budget for spendings in the summer, according to several reports. But Unai Emery took the challenge and a £50 million war chest for transfers in the summer was all he had to improve the below-average Arsenal squad. He signed Torreira, Sokratis, Leno, Guendouzi, and Lichsteiner, averaging 10 million on every player, and the roles those players have played in Arsenal's run this campaign has been significant and effective. Except for Lichsteiner, the rest four have probably been Arsenal's best players this season, and if Emery could bring in such quality players under fifty million euros, imagine the havoc he would create if he has more than £100 million to spend next summer. However, the Gooners haven't been patient with him, as the criticisms he has faced for trying out new tactics and formations has been unacceptable. Arsenal fans want him to be a world-beater from day one, which is too much to ask for from a coach who is managing an injury prone and mediocre squad. Emery must be allowed to try his ideas on the squad because this is his first year, and the fans must allow him to have freedom, instead of bashing him for those away defeats. I would not mind if we play Europa League next year, because Emery has improved this Arsenal, and that is what matters. 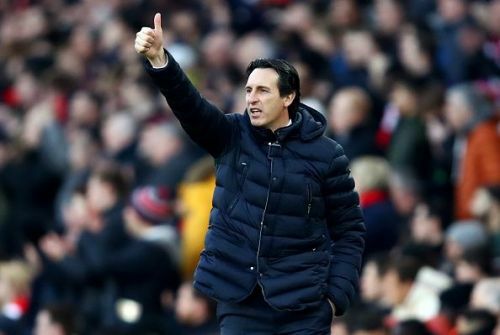 Except against Manchester City, Unai Emery has won points against all of the rest top dogs in the Premier League - 3 points out of 6 against Chelsea, 4 out of 6 against Tottenham, 4 out of 6 against Man Utd and a point against Liverpool. This is brilliant considering Arsenal won only 5 points out of the available 30 against the top 6 last season, whereas they have accumulated 13 points out of 30 this term - an incredible feat taking into consideration this is Emery's first season in England. I thank Unai Emery with all my heart for coming to Arsenal. I've been a keen follower of him since the years of his managing career with Valencia in Spain. He was bashed for not winning against Barcelona in the second leg with PSG after winning 4-0 in the first, but now we know it was not Emery's fault because that is the players' mentality in the return legs. Under a brilliant coach like Tuchel, PSG bottled a 2-goal lead against United's B team, which speaks volumes about their attitudes. I've understood a few things from Unai Emery's past. Firstly, he is not scared of any opponent. Unai has balls of steel because he is always willing to take risks, alter formations and change tactics. He is unpredictable. Secondly, he promotes youth. The likes of Iwobi, Guendouzi, Holding, Maitland Niles, Emile Rowe-Smith, Bakayo Saka have all got first-team appearances under their belt. Arsenal have a great academy and I believe Unai values it more than anyone of us. And lastly, every player is equal to him. Emery was known for his disputes against Neymar as the latter did not play according to the gaffer's instructions. At Arsenal, the likes of Ozil, Aubameyang, and Lacazette have all been benched if they play badly. Their stardom hasn't been a problem for Emery, as he considers every player to be equal, something I absolutely love about him. I look forward to winning plenty of trophies under our new gaffer because he is the one for us. It is Unai at the wheels fellas!